A few months after overhauling the desktop version of the platform, LinkedIn have brought in yet another improvement. Before, messaging was a separate page, so you had to treat it like its own task, the same as job hunting, networking or updating your profile. Now there's a messaging tab so that you can carry on messaging people you're connected with, regardless of what else you might be doing. It might seem small, but it's emblematic of the approach LinkedIn are taking now. 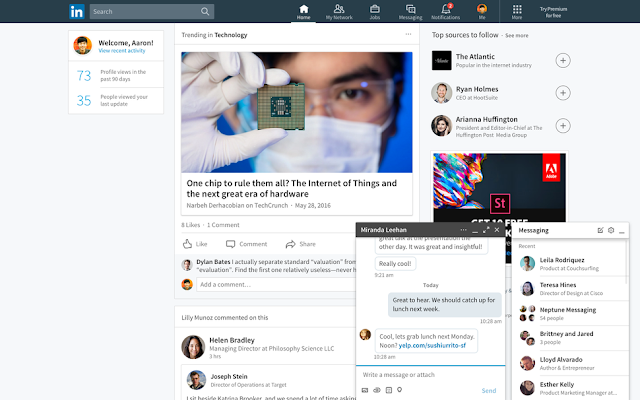 Before, messaging on LinkedIn was more akin to emailing, which makes sense for a career-focused platform, but this new version is more akin to Facebook. LinkedIn are trying to move beyond a careers site into something more all-encompassing, something which will push the average user's active time up. The landing page already has a very strong Facebook news feed vibe, and users are encouraged to share links and even write articles themselves. Being able to see messages in real time will not only make those activities easier, it will streamline pretty much everything typically done on the platform. Here's the issue, though, this upgrade is placing them in more direct competition with Facebook than they've ever been before, and that's a battle they can't hope to win. LinkedIn have 467 million users, a figure which is utterly dwarfed by Facebook, who are also rapidly encroaching on their job hunting domain. That being said, LinkedIn have seen a 40% uptick in messaging in the past 12 months, an increase which certainly won't be hindered by this new change. They've also added contextual prompts to help users figure out what to say, depending on whether they're looking at a job posting, company page or whatever else. This isn't only about making the platform broader, it's about changing the way job hunting is approached. The biggest carrot in this is response times. During the testing phase, LinkedIn reported a 10% increase in responses sent within one minute of the original message. Job hunting is time-consuming work, and the increased likelihood of a near-immediate response will be very enticing to a lot of people. That's where LinkedIn have an advantage over Facebook. 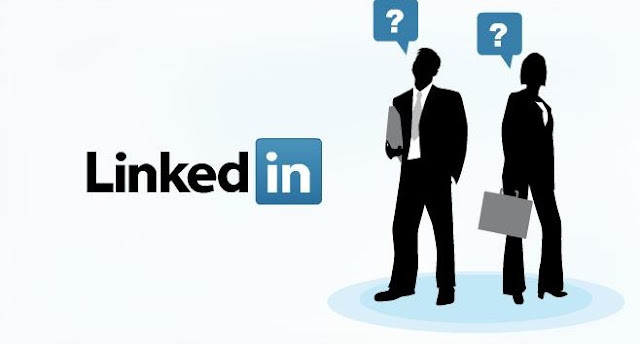 While they are trying to steer people who joined for social reasons towards job hunting, LinkedIn only have to use social devices to make like easier for their career minded users. The messaging tab is now active on LinkedIn globally.